Continuing on with a look back 110 years ago to 1908, we come to a milestone for a great pitcher. On the 30th of June 1908 Cy Young, the fella they named the award for, pitched his third no-hitter. He was 41. By 1908 Young was on the downside of his amazing career. He’d averaged 30 wins between 1892 and 1896, did so again between 1901 and 1903. He’d won an ERA title, a couple of strikeout titles, several times he’d led the league in shutouts. He’d even won two saves titles (OK, it was only three saves, but it still led the league). 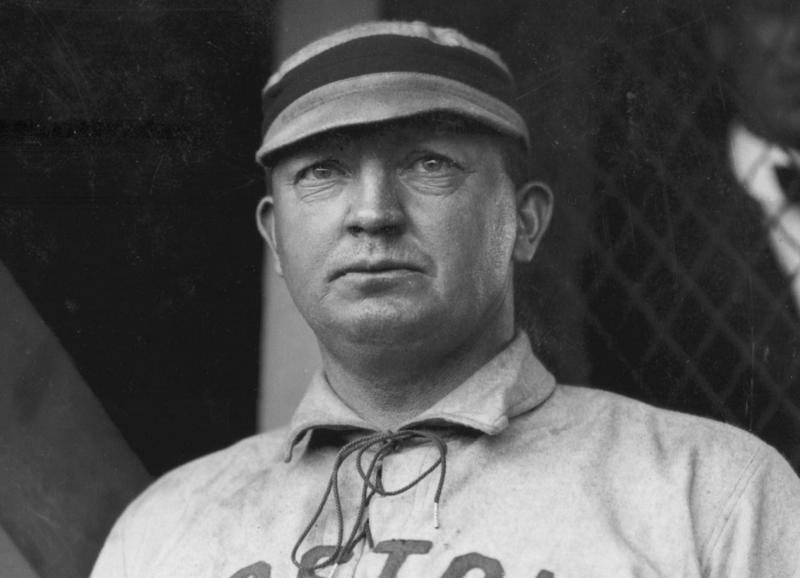 He started the first ever World Series game (and lost), won the first ever World Series in 1903 with Boston, and, in 1908 was still with Boston. It was his last 20 win season (21-11) and his ERA dipped below two for the final time (1.26–and it didn’t lead the AL). His ERA+ was 193, the second highest total of his career (219 in 1901), and his 9.6 WAR was the seventh highest total for his career (he peaked at 14.0 in 1892). The season’s highlight came 30 June. The Red Sox were playing on the road in New York against the Highlanders (now the Yankees). Wee Willie Keeler, who was, like Young, toward the end of his career, was the only Hall of Famer in the Highlanders lineup. The opposing pitcher was Rube Manning, a 25 year-old righty in his second (of four) seasons. He was 7-5 going into the game. Young was almost flawless in this third no-hitter. 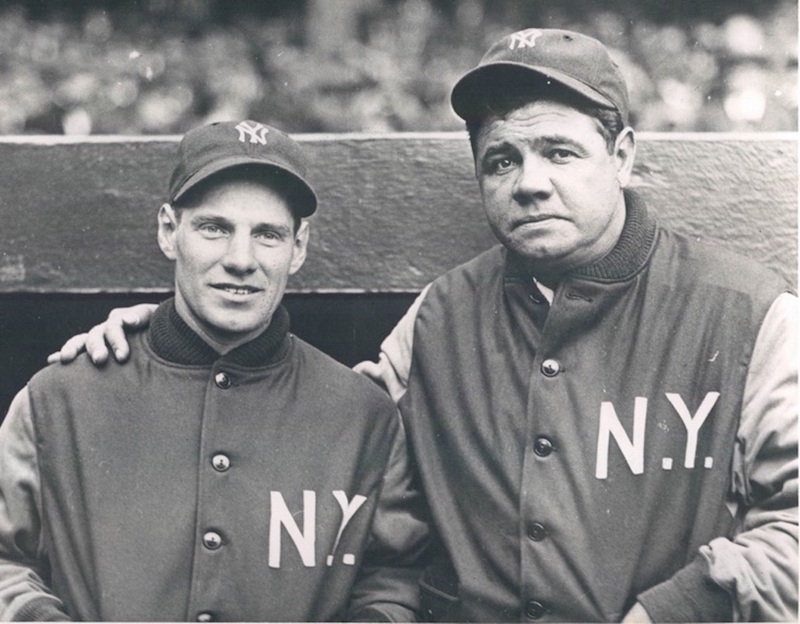 The leadoff hitter for the Highlanders was second baseman Harry Niles, who was later in the season traded to Boston (as Mel Allen might say, “How about that?”). He was 27 and in his third (of five) seasons in the big leagues. He managed a walk from Young to lead off the game. Then he broke for second and was thrown out by Boston’s catcher Lou Criger. And that was all the base runners New York had for the entire game. Young struck out two on the way to facing the minimum of 27 batters. Meanwhile Boston ran up eight runs and Manning didn’t get out of the second inning. The big hitting star for the Red Sox was… you guessed it, Cy Young. He went three for five, scored a run and knocked in three. You could make an argument that combining pitching and hitting it was the best single day any player ever had in the Major Leagues. Young, of course, would go on to win more games than any other pitcher, set a record for strikeouts (since broken many times), and rack up more innings pitched than anyone else. There’s a reason they named the pitching award for him. And for a great bit of trivia. On the same day (30 June) in 1962, Sandy Koufax pitched his first of four no-hitters. 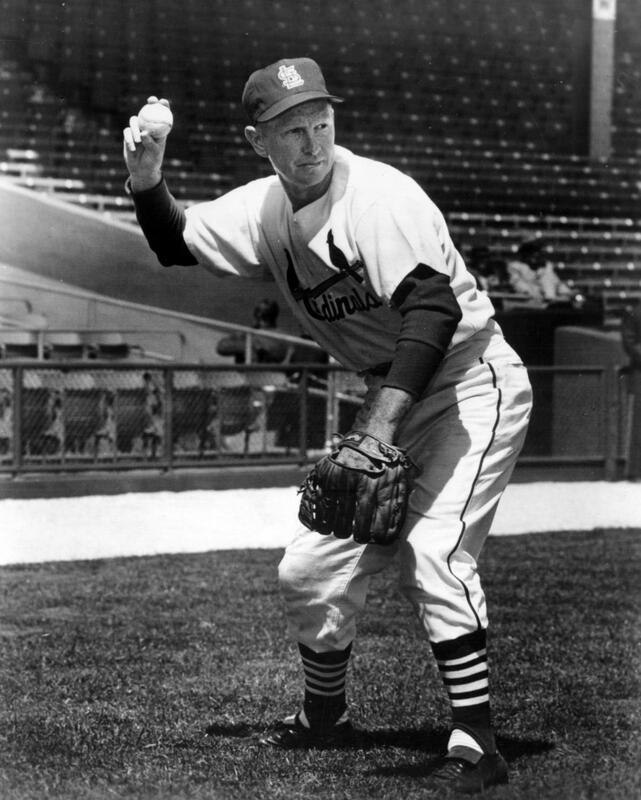 He joined the Cards in 1945 as an outfielder. The team had a chronic problem at second base and the people in charge saw Schoendienst as just the man to solve it for them. He played one game at second in ’45, then moved in as the primary second sacker in 1946. He was an All Star, helped his team to the 1946 World Series, which they won. He stayed in St. Louis through 1956, making eight more All Star games, before moving on to the New York Giants. He put in less than 150 games with the Giants before a trade that took him to the Milwaukee Braves in 1957. At Milwaukee he became a mainstay on consecutive pennant winning teams, winning it all in 1957. He generally hit second (behind Billy Bruton) and was credited with stabilizing the infield, providing a clubhouse presence, and giving the team veteran leadership. All of those were probably true but Hank Aaron, Eddie Mathews, and Warren Spahn were the big guns for the Braves. He made the All Star game one last time in 1957. In 1959 he was diagnosed with tuberculosis. It cost him all but five games of the season, a season the Braves lost a three game playoff to the Dodgers. Fortunately for Schoendienst an operation helped and he could return to the field. He remained active through 1963, serving as a player-coach in his last two active seasons. Schoendienst remained Cards manager through 1976, then did a little coaching at Oakland. He subsequently returned to St. Louis and coached during the 1982 World Series winning season. On two occasions he served at Cardinals interim manager, then settled in as a special assistant to the team. He made the Hall of Fame in 1989. 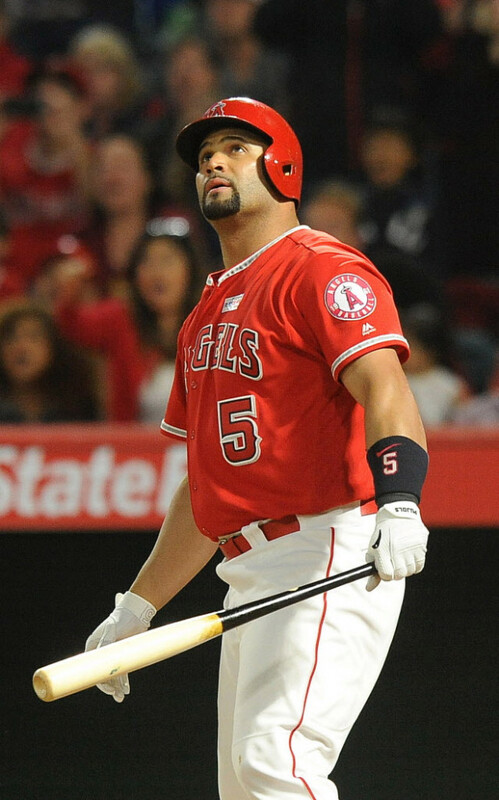 For his career his triple slash line reads .289/.337/.387/.724 (OPS+ of 94) with 2449 hits, and more walks than strikeouts. All of that gave him 42.3 WAR. As a manager he was 1041-955 (.522 winning percentage). His Hall of Fame selection is sometimes downplayed saying he wasn’t that good, but the combination of playing, coaching, and managing make him someone at least legitimate to consider. So God’s Speed, Red. The Cardinals, Braves, and all of baseball will miss you. Recently, I read an article on Sports Illustrated indicating that Major League Baseball is contemplating expansion from 30 to 32 teams. Following up on that article, I found a handful of others that agreed. Apparently Commissioner Rob Manfred is all in to add two new teams to the lists. As you’ve probably guessed by now, I have some thoughts on this idea. I’m not inherently opposed to this plan, but I do recognize that a diluted set of pitchers and hitters will make their arrival on the scene. Over the previous expansions going back to the 1960s that’s meant at least a temporary boost in offense. Considering we’re already in something of an offensive era, at least home run-wise, it may become even greater. Much of that will depend on the new stadia for the two new teams. Which of course brings up where to put them. It seems the current frontrunners are Portland, Oregon and Montreal in Canada. Didn’t we already do a Montreal experiment? Wasn’t it a failure? I have no reason to dislike Montreal or Canada but what makes MLB think that a new team will do better than the Expos, who are now happily playing in Washington, DC? Again, I have nothing against Portland, but I would point out that over the last dozen or so years (well before our current President took office) Portland has experienced a marked surge in political violence. I like to keep the lower arts like politics out of my greater arts, like baseball, and I trust that will hold true in Portland also. But I further question the choice of cities because places like San Antonio, Texas already have a big stadium that can be configured for baseball while Portland will need to build a new stadium. That’s not a plea for San Antonio to get a team, merely acknowledgement that Portland is not, at this point, at all ready to host a big league game. But more importantly, if you’re going to set up a team outside the Continental United States, why Montreal? How about putting the second team in San Juan, Puerto Rico. I know Bithorn isn’t ready for the Major Leagues yet, but it’s already there and can be used as a stopgap (as, it’s true, could minor league parks in Portland, Montreal, and other places) until a new stadium could emerge. I’m not sure how excited Montreal would be about a Major League team, but Puerto Rico would go crazy. The article I read also indicated there were thoughts of changing the schedule to 156 games (from 162) and of course putting together new divisions and new playoff scenarios will need to be considered. On a personal level, I like the idea of two 8 team divisions in both leagues (they had 8 team leagues for 60 years and it seemed to work). For playoffs, first place in the National League West plays second place in the National League East and first place in the East plays second place in the West in a five game series. Other options will, of course be considered. Whatever happens, the drive toward expansion will be interesting. It may not happen, but if it does it will be at least interesting. You are currently browsing the Verdun2's Blog blog archives for June, 2018.